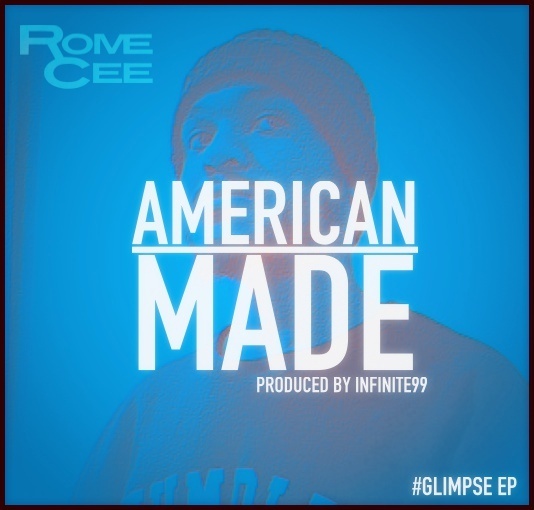 New track from my man, Rome Cee. This one is from his upcoming EP entitled #Glimpse which drops December 6th. The combination of the emotive track, produced by Infinite99, and Rome’s honest, straight forward real talk about what it’s like being a young black dude in the U.S. gives this track that feeling of melancholy, which could leave anyone wondering if the American dream that we learned about is even real anymore. Nothing like a track that can make you think AND feel. American Made deals with the ups and downs of life as a citizen in American Society and the pressure of pledging allegiance to a country that promises a dream but delivers a variety of different circumstances and outcomes to all Americans alike.